Last week the Nike Zoom Soldier VI made a quick appearance at nikestore.com, then got pulled down, and now it’s available once again. 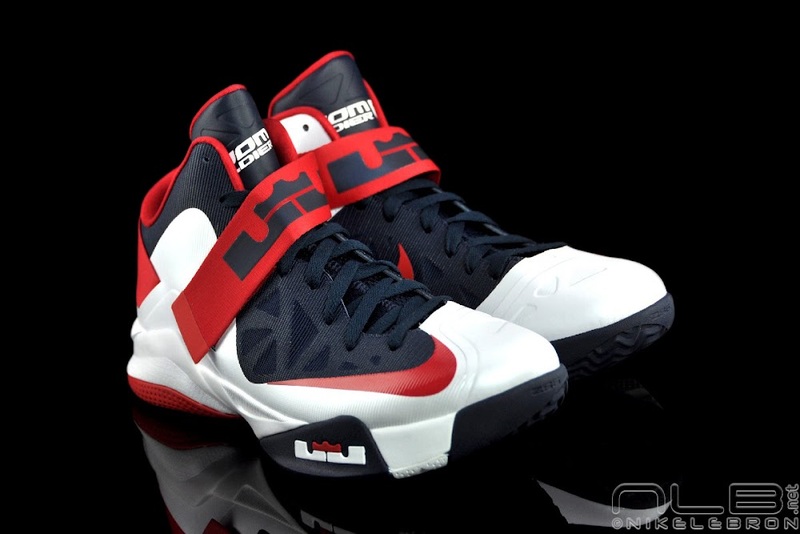 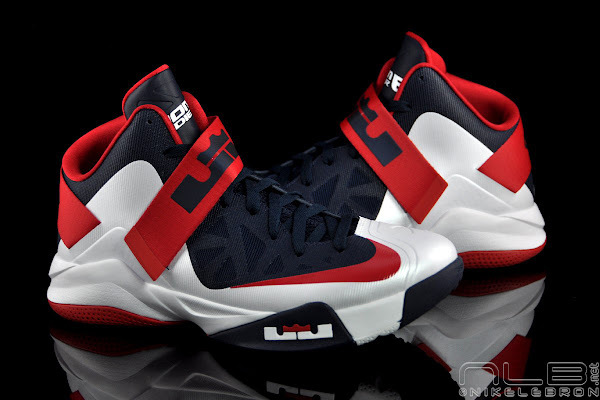 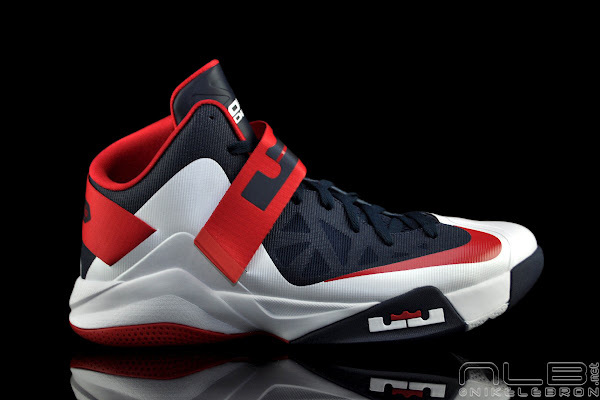 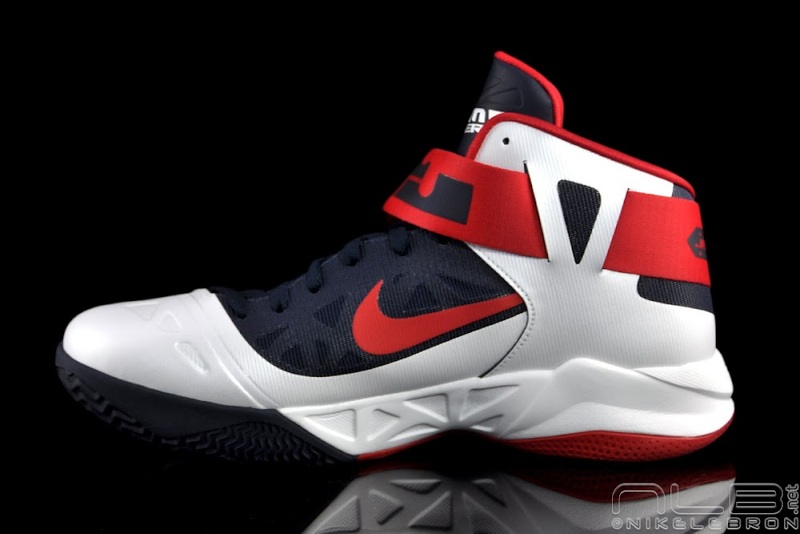 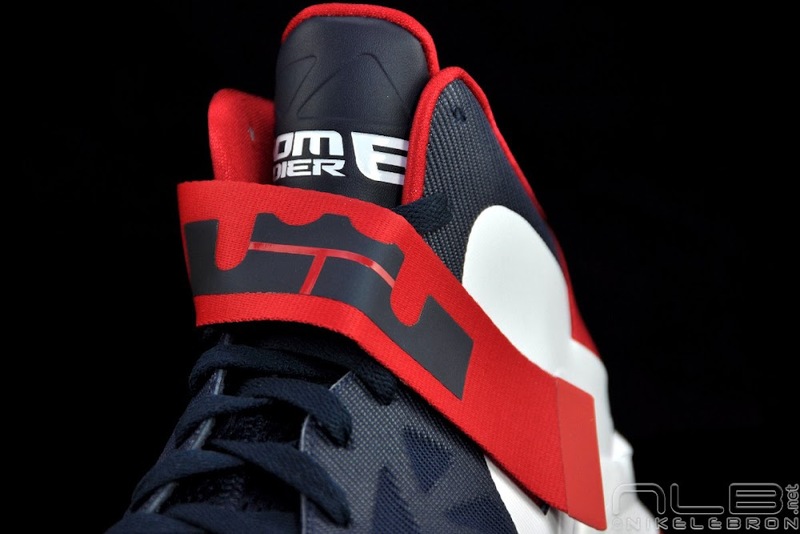 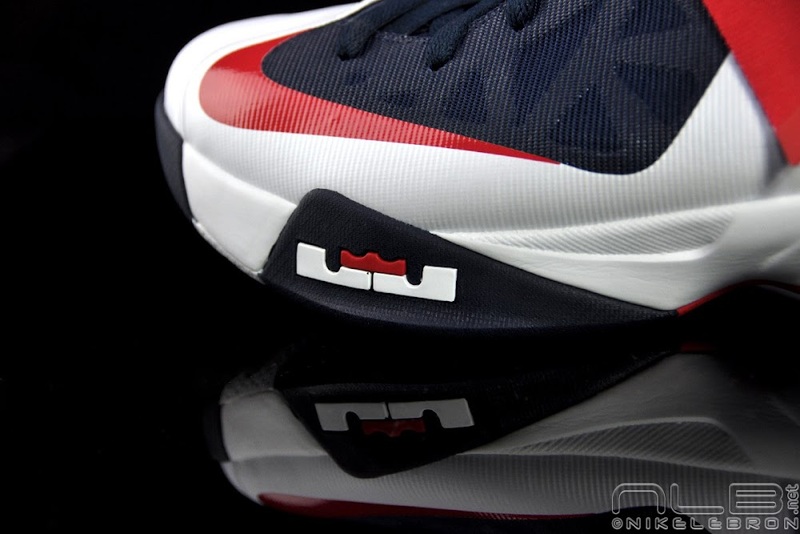 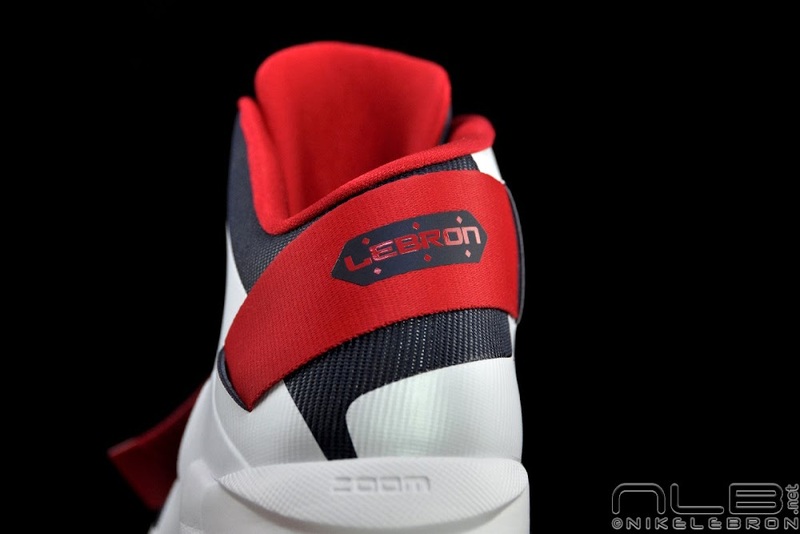 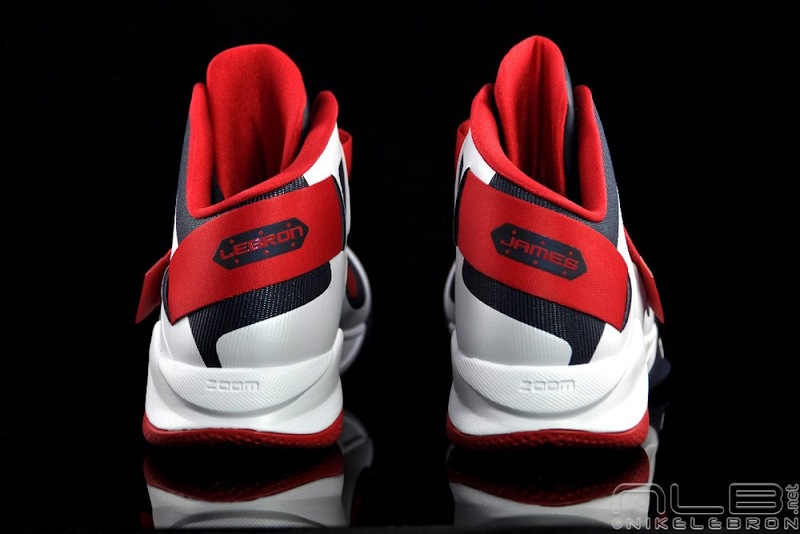 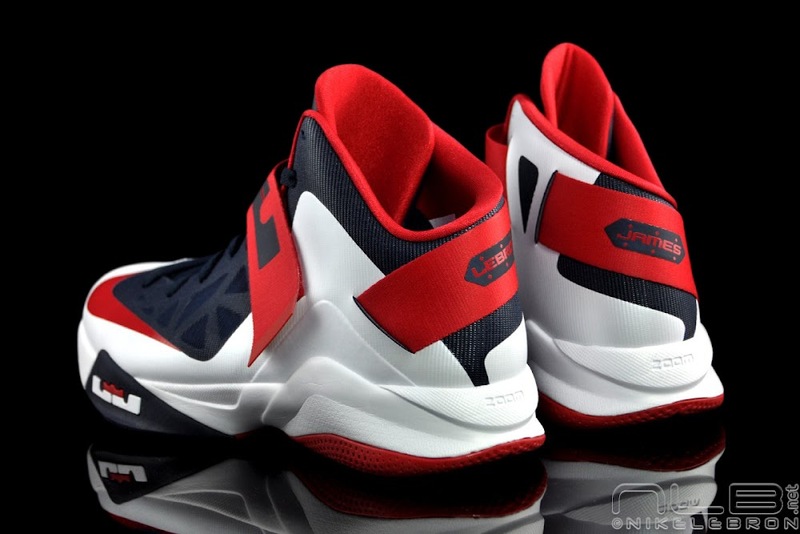 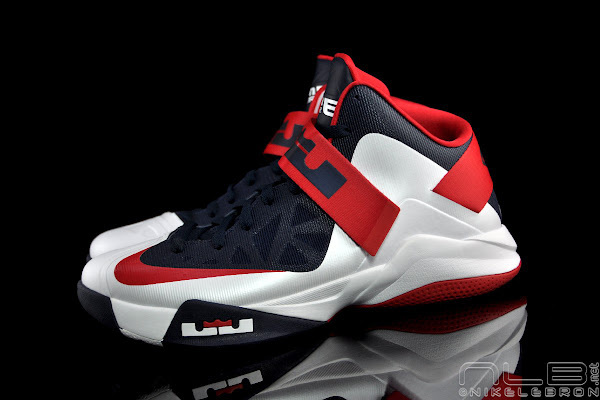 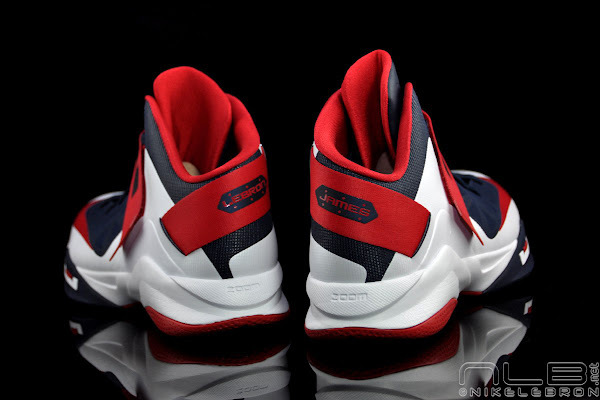 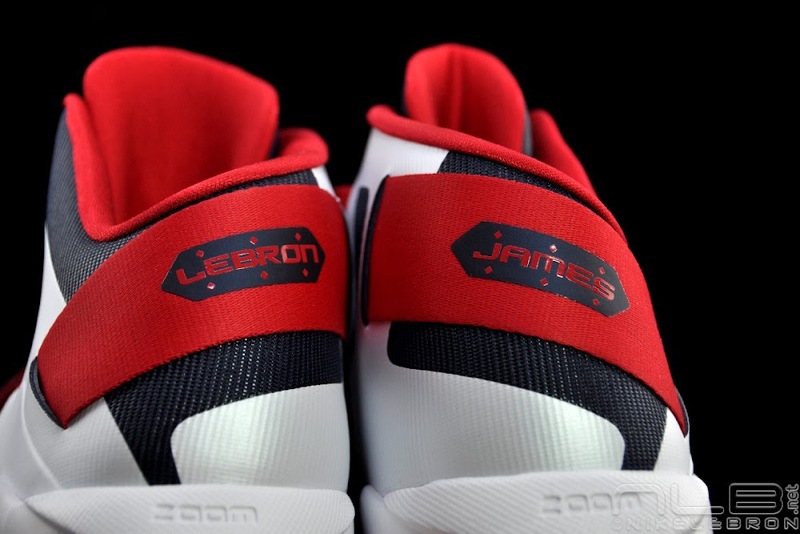 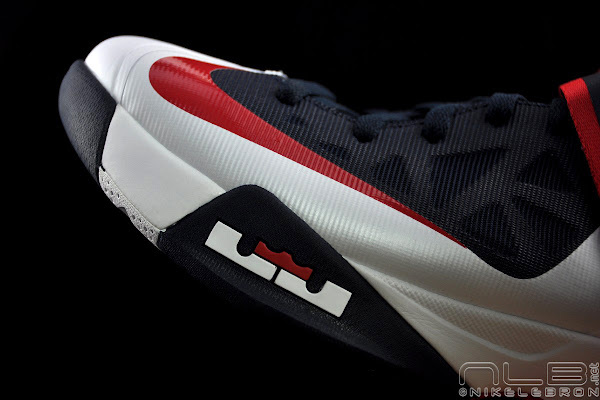 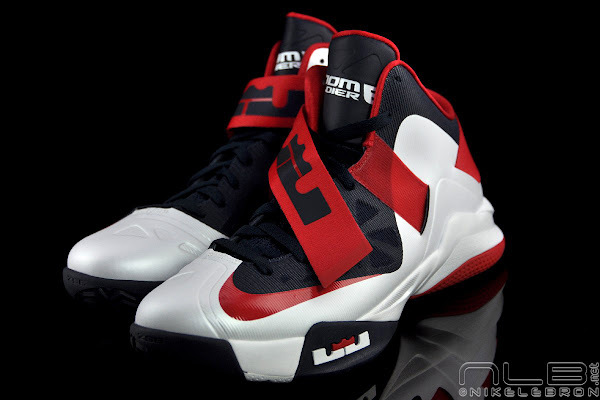 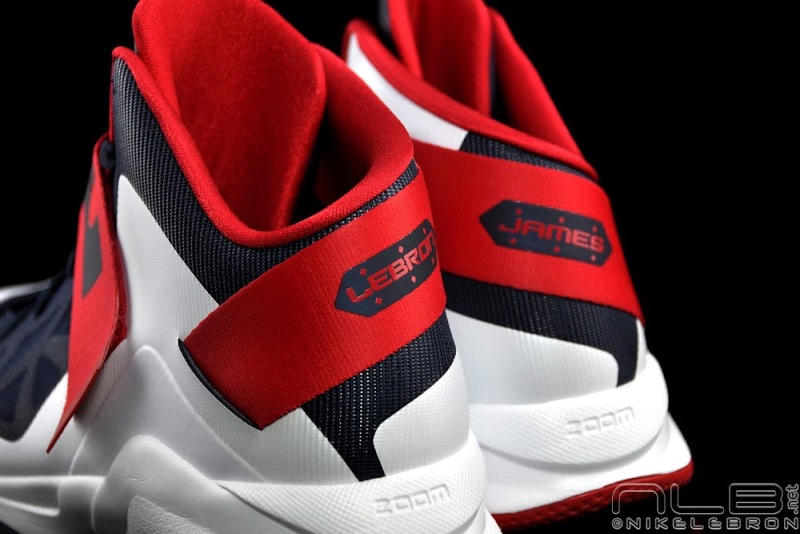 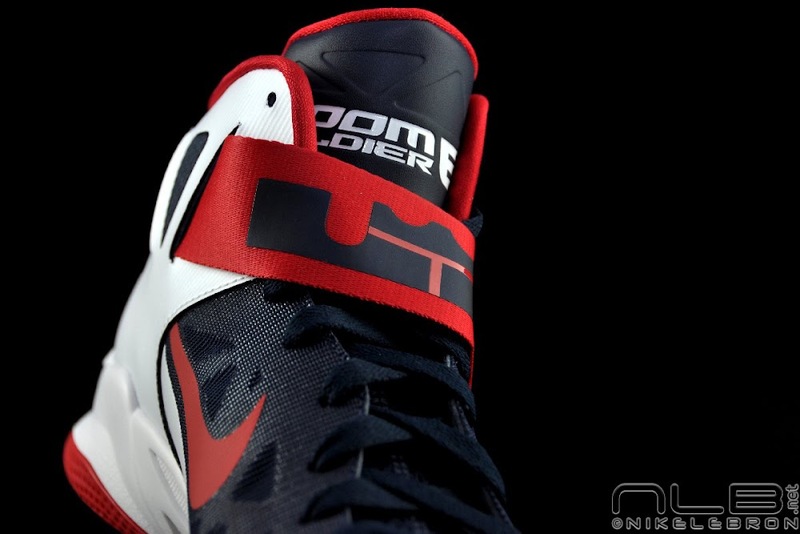 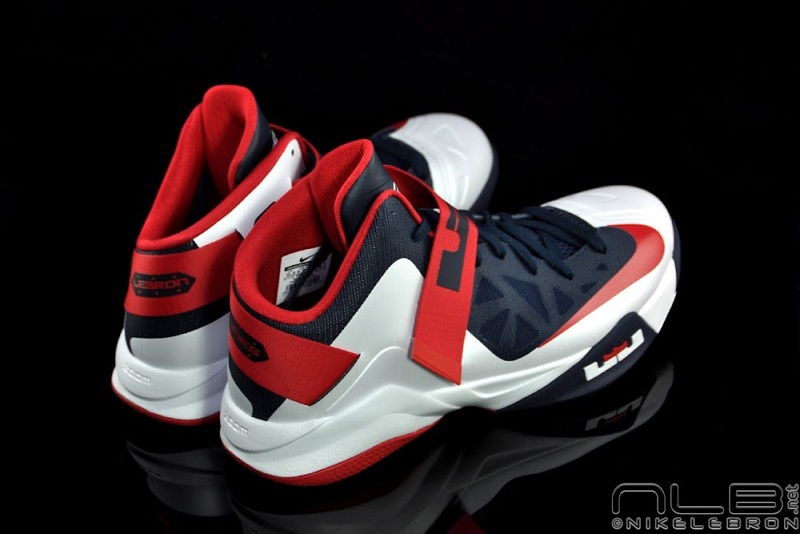 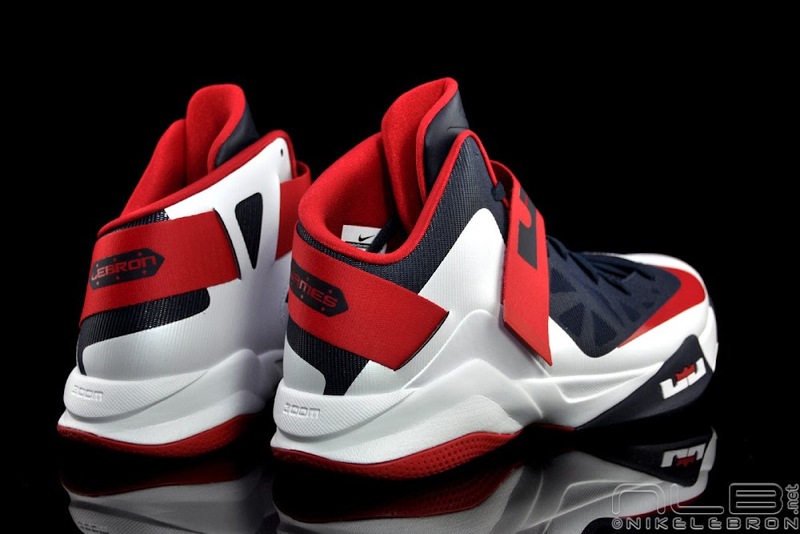 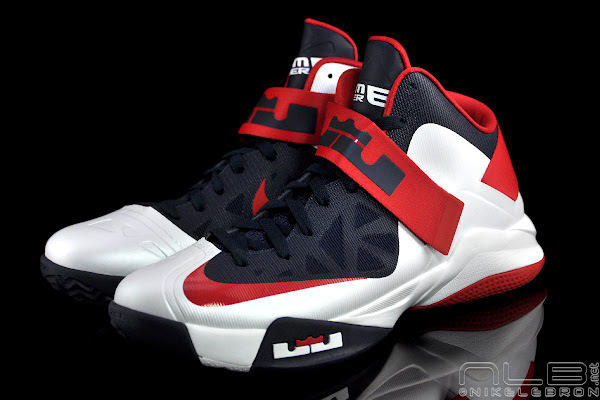 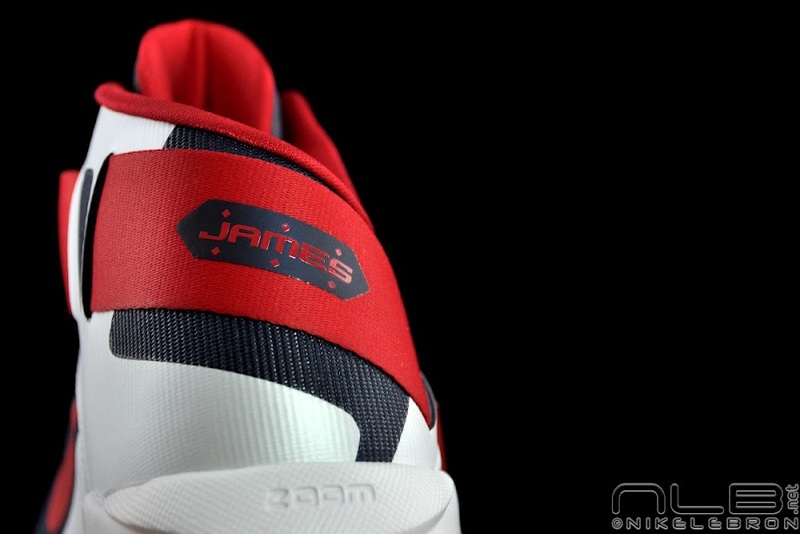 Just in time for the 4th of July and the upcoming 2012 Olympic Games, Nike Basketball has introduced the sixth installment in the LeBron James Soldier series featuring the USA Basketball theme with a White, University Red and Obsidian color scheme. 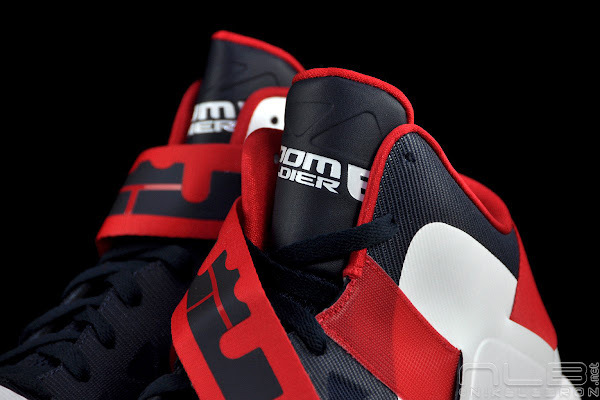 The new Soldier 6 has been completely redesigned for maximum performance and it’s in fact the lightest signature shoe build for King James. 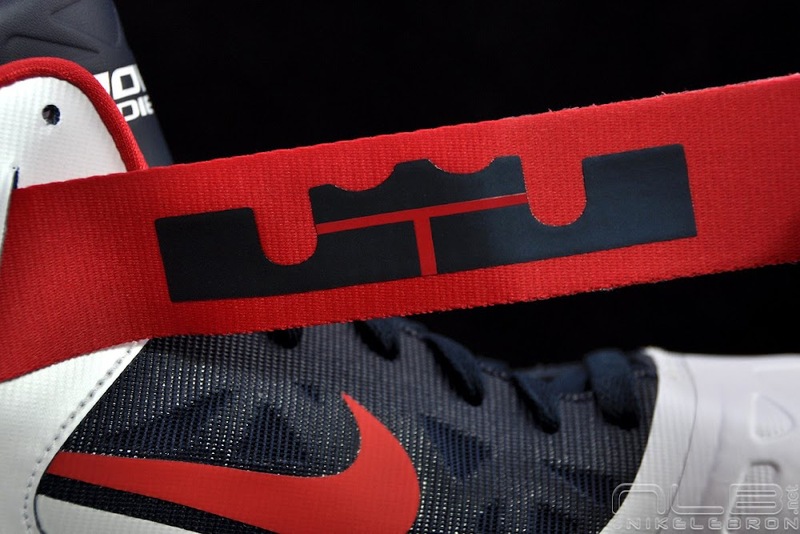 It weights exactly 13.25 oz. 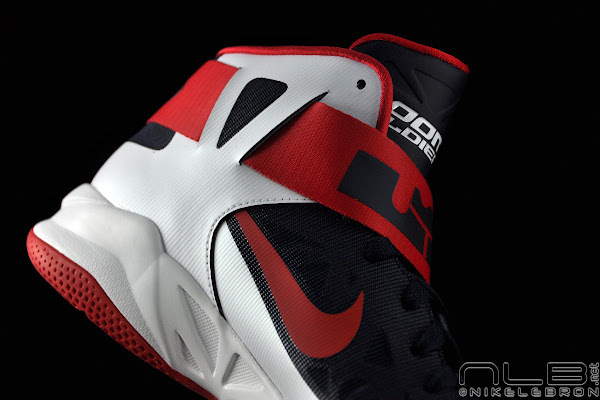 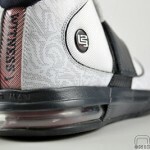 in size 10.5 and still comes with Zoom Air cushioning. 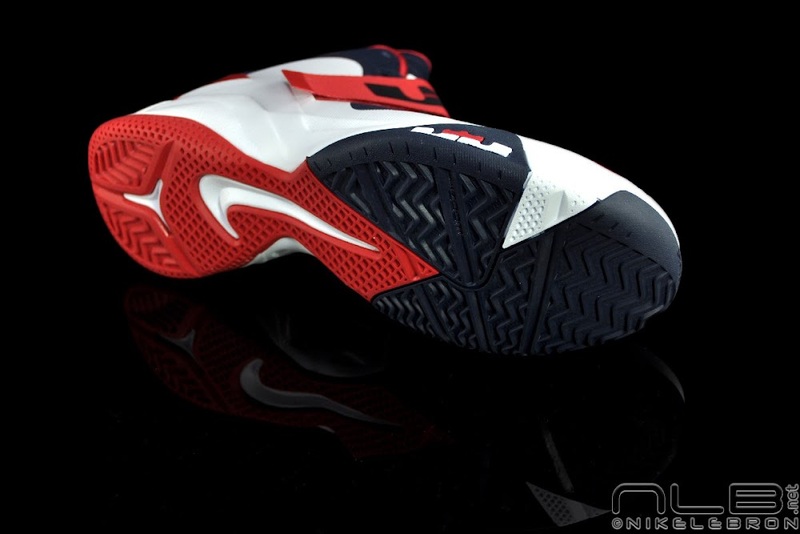 I only got a chance to play in them once, but the first impression is very good. 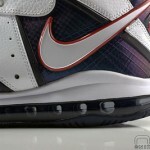 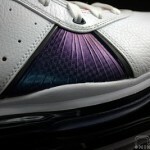 Hopefully, LeBron will decide to wear them in London later this month.